This essay extends an open philosophy with a philosophy of music education on soil. An open philosophy emerges from analysis of Kafka’s parable “Before the Law.” I explore what “the law” might be, what it could mean for how people relate to “the law,” and how critiquing “the law” allows music teachers and learners to challenge the institutionalization of musical values. Extended with a metaphor of soil, music educators recognize “the law” is unsustainable and deserving skepticism. Institutions require continual skepticism. Through skepticism, ways of being and musicking together emerge. Waiting in a fluorescent-lit hallway, I make soft, nervous small talk with my wife. Subdued conversation echoes on painted cinder block forming a familiar soundscape. This is the soundscape of institutionalized space—a space for human reason. For the law. The soundscape would be different in Central Park. In Central Park the low roar of cars might underlie the songs of sparrows, blue jays, and maybe even animals from the zoo. Our feet would be on soil. Institutional soundscapes are less diverse, less living. In this hallway I met one of my intellectual heroes, who interviewed me for possible admittance to Teachers College, Columbia University. “A man from the country comes to this gatekeeper and requests admittance into the law” (Kafka and Blahut 1997, 30). What am I doing here? An Ivy League institution is no place for a person from the country! Months later my application was rejected. Listening to myself, I hear the voice of the gatekeeper, “this entrance was meant for you alone. Now I am going to shut it” (34). Failure hurts. But failure is seldom the end of any story. I didn’t waste my life waiting outside of the gate like Kafka’s man. I sidestepped. I looked for virtue below my feet. “I have reached much \ I did not expect, in a direction \ unexpected. I am growing downward, \ smaller, one among the grasses” (Berry 1994, 14). Philosophies are cultivated in place. Some places are elite and others are common. Since this rejection, I have unearthed possibilities in an unexpected direction. I find my feet rerooted on living soil. Living soil emerges in the equilibrium of death and life. Using soil as metaphor, failures are composted and become next year’s carrots: but only if we live a rooted life. Institutionalized persons toss old food into bins and forget it as waste goes “no-where” (when in actuality, all waste goes somewhere). Becoming a kind of refusenik, I refused the label, “failure.” And a man from the country seems awfully reductive. I’m someone who grew in a rural town not unlike a soil community, “a web of interwoven lives, each in some way related to the others” (Carson 2002, 56). With my family, we return to soil. A man is an alienated individual and h/is commons have been enclosed. Though I was educated “to leave home” (Prakash and Esteva 2008, 3), my roots were strong. In the end, I benefitted by this gate closing. It meant opening myself to rerooting (Shevock 2016). In this essay, beginning with Allsup’s (2016) analysis of Kafka’s short parable, “Before the Law,” I extend the story with a philosophy of music education on soil. I explore what the law might be; what it could mean for how people relate to the law; and how the law metaphor allows music educators to challenge institutionalization, particularly when extended with a metaphor of soil—recognizing the law as inherently unsustainable and unjust, deserving continual skepticism. The law is a place of generalizables, no-place answers. I recommend cultivating a place-conscious, rerooting pedagogy. I understand music education on soil as promoting “traditional anarchist principles—autonomy, voluntary association, self-organization, mutual aid, direct democracy” (Graeber 2004, 2). If democracy opens the gates to the law, anarchy stands, conceptually, in opposition to the law. Music education on soil promotes lived diversity—a diverse soil is a healthy soil. From within a living soil web, we can reject the false comfort provided by the law. These principles constitute what I believe are the base requirements for a truly open philosophy as well, although there are many challenges to accomplishing it. Early in Remixing the Classroom, Allsup (2016) shares Kafka’s 1915 “existential parable ‘Before the Law’” (7). The law, revisited throughout the book, provides an essential metaphor for understanding the author’s open philosophy of music education. This open philosophy is about opening the gates of the law. A John Dewey quote seems appropriate, since Remixing the Classroom uses Deweyan theory extensively. Discussing history from a social standpoint, Dewey (1909) writes, “but unless ‘the hero’ is treated in relation to the community life behind him that he sums up and directs, there is danger that history will reduce itself to a mere exciting story” (para. 38). I believe this is also true for music education—unless it is rooted in community life there is danger that music education will reduce itself to a mere exciting story. The possibility of agency is exciting; but if that agency doesn’t have the rooted support of a living community, it is “a mere exciting story.” Agents must fight against the law of schooling, true. But they must also fight against the easy answers of another law, namely, industrial musics promoting unsustainable neoliberal ideology for economic gain, whatever the cost to actual communities. Looking to h/is “relation to the community life behind him” my analysis of the parable illuminates a possibility for the man from the country and music education. In using Kafka’s parable, I join a large body of scholarship, mostly in legal philosophy. Kafka earned a Doctorate of Laws from Prague University in 1906, and published “Before the Law” in a collection called “A Country Doctor” in 1919 (Kafka and Blahut 1997). What is the law? Laws are collections of rules, regulations, and policies enforced by an institution—often the state. In other words, the law involves an institutionalization of values. For instance, refraining from murder is a common value and a law against murder, with subsequent punishments for breaking that law, represents an institutionalization of that value. The power of the law is tied to the institution’s ability to enforce the law. In Remixing the Classroom, the law refers to admittance to an institution—the University. In some ways, referring to the law as institutionalized music education is paradoxical. But, this law has progressive history—a guiding story—as do courts and prisons in liberal democracies. Some current universities date to the Middle Ages, and many find their institutional and ideological origins in Plato’s Academy and Aristotle’s Lyceum. Universities have, over time, served increasingly diverse and open (to women, people of color, etc.,) roles in an opening society. The power of the law (an institution) to function as the law (enforceable rights) begins—and possibly ends—with denying admittance. “But the gatekeeper says that he cannot grant him admittance right now” (Kafka and Blahut 1997, 30). Perhaps the gatekeeper’s “right now” is similar to today’s wait-lists, or perhaps the gatekeeper is being cunning and cruel—saying “right now” might keep the man from the country waiting and hoping, rather than taking revolutionary action, revolting, tearing down the walls and destroying the institution (a very real and observable possibility in early 20th Century Europe, and maybe increasingly a possibility today). It may be that universities use “right now” as a way to assert more power of punishment than they actually have. States have armies and police forces; universities have rejection letters. Wait-lists can draw out the pang of their punishment. Later Kafka writes, “the gate of the law is open, as always” (Kafka and Blahut 1997, 30) and the man from the country thinks “the law should be accessible to everyone at all times” (31). The gatekeeper doesn’t correct the man from the country. Kafka seems to distinguish “open” from “accessible.” Is the open philosophy open like a chain-locked door (to peer through) or accessible (to enter)? Are there ways an open philosophy is exclusionary? All university institutions—and music education teacher training programs housed in these institutions—are inaccessible to most people. Many programs exclude musicians who music outside of acceptable, classical music norms. But, even if the programs were open to additional musical genres, as an institution the university would set limits to entrance. The institution may open itself to MC and DJ artists this year, and next year to bluegrass experts. But there will always be genres that function beyond the institution—ones openers haven’t yet gotten to. The institution, by its nature, is conservative—a conservatory of types, conserving what it understands, even when trying to understand new knowledges to eventually institutionalize and conserve. Even open to all genres, universities exclude based on expertise—we want expert mariachi, or taiko, or keytar, or gamelan musicians to enter the gate. Allsup uses the law to challenge elite North American conservatories, and Allsup’s training took place at one such institution—Northwestern. I extend this challenge by challenging all music education institutions. All gates and all laws deserve scrutiny. As a process, institutionalization (the very existence of the gates and the law) leads to less and not more diversity. I was educated at Clarion University of Pennsylvania, which is not an elite music education institution. When I studied at Clarion, admittance (gate one) was comparatively easy, but much of the curriculum (gate two) was similar. While I attended, Clarion first applied for and was granted admittance to National Association of Schools of Music (NASM). In the time since my graduation, attendance declined and the long-running music education department serving mostly rural schools in Western and Central, PA was recently disestablished. Music education seems to be the institutionalization of a value, music teaching and learning—transmitting music from one generation to the next is a good thing to do, so good that people have done it since before recorded history without schooling. For around 200 years, the value has been institutionalized in schools, and over time (progress/meliorism) in university music teacher training programs. If the experience of Clarion is an example, institutionalization (Clarion as a music teacher training program) seeks further institutionalization (NASM accreditation), and since schools are about generating drop-outs (see Prakash and Esteva 2008), it is only rational that on an institutional level Clarion’s music education program would eventually become a drop-out. Institutionalization abhors diversity—everybody yearns to attend an elite institution. Allsup (2016) aims to increase diversity through public school music education. This might be a paradox. The question, “How might we open our public-school classrooms to greater diversity of students and musics” (46), seems characteristic. Using this sentence as typical we can treat it for a short analysis of open and diversity. What are the assumptions of this sentence? These assumptions may or may not be true, but it is helpful to address them before continuing. Assumption 1. “We” are the openers; and this we is most often the students and teachers, though sometimes theorists: “Our reforms might start in ways that are conceptual” (Allsup 2016, 46). The prime movers then include students, teachers, and university professors. What is the nature of students, teachers, and university professors in our consumer society? They are designations in educational systems—a teacher might also be a father, a volunteer, a voter, but these are out-of-schooling designations. Defining people by their school designation, it becomes important to understand what school is. What does schooling do? Berry (2009) writes, “Our education is focused on producing skills associated with the production, distribution, and use of such a multitude of objects with none of the exaltation of soul provided by our experience of natural phenomena” (75). The institutionalized students, teachers, and university professors will, it is likely, put forth the consumer values of our society. Ideas we have, especially without rooting aspects of family, non-colonial languages, and history, will likely be ideas advertised to us since birth by institutionalized music industry. Just as Berry concluded, “our education” is consumerist—possibly changing us into consumers or focusing our attention on consumption—ignoring experienced nature and soil. New possibilities open if we open “we” to include non-institutionalized designations, and people with no connection to schooling. Assumption 2. Openness increases, and closedness decreases diversity. This assumption can be analyzed historically—did what are called open cultures historically cultivate the musical diversity we see in the world? Did Balinese society, now that it’s open—to media, trade, industry, liberalism, etc.—develop gamelan? Or was gamelan developed when it was closed—with little exposure to the diatonic scales of music of the West? Did open societies like the U.S. cultivate or destroy diversity with the American Indian education programs? Each of these indigenous cultures cultivated what today is called a musical genre. Each of these genres held in them the wisdom of living well on soil. Diversity may not have existed in any single culture—in a soil community, mycorrhizal fungi and earthworms sing different songs/play different roles. Diversity is the result of centuries of culture, learning to live well in place. Take mycorrhizal fungi and earthworms from the soil, put them in the lab, and they die. Open societies can observe, count, analyze, and dissect diversity. This leads me to ask, if open societies are not responsible for today’s diversity, can today’s open societies cultivate new diversity? Education as constructing individualism and reinforcing consumer industries (e.g., the record industry) work in tandem: “the allure of Western products needed to be supplemented in order to complete the conversion of the individual from being a participating member in an intergenerationally connected community to being a consumer-dependent individual” (Bowers 2007, 2). Western values, even when coopting non-Western musics, are aggressively promoted in both institutions—schooling and recording industries. Assumption 3. Public-school classrooms can be a force for cultivating diversity. In homo sapiens’ 150,000 year history on this planet, public school music might be said to have existed for close to 200 years. These 200 years have seen a tragic loss of diversity—loss of human cultures, languages, and musics; and loss of species diversity. If public schooling, as part of Western homogenizing culture, is part of the problem, shouldn’t the assumption that public-school classrooms are able to increase diversity be challenged? Perhaps, we should begin with more extended skepticism. We may come to the conclusion that music education is able to a be a force to reroot, resoil, rediversify the communities music educators find ourselves in. But only if we begin by recognizing fully that music education is the problem—and not only conservatories. Music education helps the consumer-dependent individual leave soil and lose culture; to join the global, industrial, Western society. Conscious of our uprootedness, maybe music teachers can help lend a hand as the social majorities revitalize “their cultural and environmental commons as sites of resistance to the poverty and environmental degradation that follows the spread of the West’s industrial culture” (Bowers 2007, xii). It is undeniable that students are conscious of and affected by Western consumer culture. “Corporations are not the sole creators of systems of reasoning that fuel unbridled consumption but they clearly play a critical role in the construction of ‘wanting’ as the norm, the baseline” (Koza 2006, 35). It is also likely that industry generated musics fuel transience and anthropocentrism. “The media is the voice of this new form of collective consciousness” (Bowers 2007, xi). “Crudity, crassness, banality, and incivility result when a society fails to take care of its culture” (Jorgensen 2003, xii); and these conducts are seeded in “wanting”—transient people are often unconscious of how media affects them. In a constructivist approach students might still lack the intergenerational wisdom required to resist consumer culture. One answer to the question—to what is an open philosophy of music education open—is to our unsustainable, industrial, neoliberal, consumer culture. But that answer is unfulfilling. Can we further open—if not the gates to the law then something—to be open not primarily to the voices of consumerism, but to rerooting? Perhaps we’ll open a different gate. Like plants, people require roots. While Simone Weil was writing after WWII, when the greatest uprooting force was war, today we contend with the results of war, climate crises, advertisements, and professional responsibilities. We move away from communities that preserve and shape diverse cultures and become individual modern persons, reduced “to the minimal unit of several abstract categories” (Prakash and Esteva 2008, 133)—alienated from one another, and enclosed from the commons. Facing enclosure, Bates (2016) recommends “a process of re-combining domains of human experience and knowledge that probably should not have been separated in the first place” (9; emphasis in original). I call this re-combining rerooting (Shevock 2016) as a part of a philosophy of music education on soil (Shevock 2017). Music education on soil looks to cultivate human and non-human relationships outside of institutions. Education, at its worst (which occurs too often), is “culturicide” (Prakash and Esteva 2008, 42). “In the wake of education, the cultures of subsistence collapse” (29). How then can we music educate in schools without decreasing diversity? Should we even answer that question before we explore possibilities for music teaching and learning without institutions/without schooling? Institutionalization benefits the few musics over the many musics, the elite musics over the common musics, uniformity over diversity. To step into these institutions is to step out of diverse soil and into a no-place, set apart from reality. Student, teacher, and professor are all no-place designations—actual people who have been uprooted from soil. That music educators, myself included, are educated in such no-places calls to question our judgment when it comes to living well; to cultivating sustainability and diversity. That children have been music educated by institutions (industry generated musics and university generated teachers) brings to question what openness might mean. What possibilities can be considered by institutional designations? Can music education cultivate, rather than continue to extinguish, diversity? “Sometimes the sensible thing is just to pretend nothing has changed, allow official state representatives to keep their dignity, even show up at their offices and fill out a form now and then, but otherwise, ignore them” (Graeber 2004, 64). A music educator on soil may pay minimal lip service to policy and policy makers—and in policy, less is better—but real students who are real members of real communities are their interest. 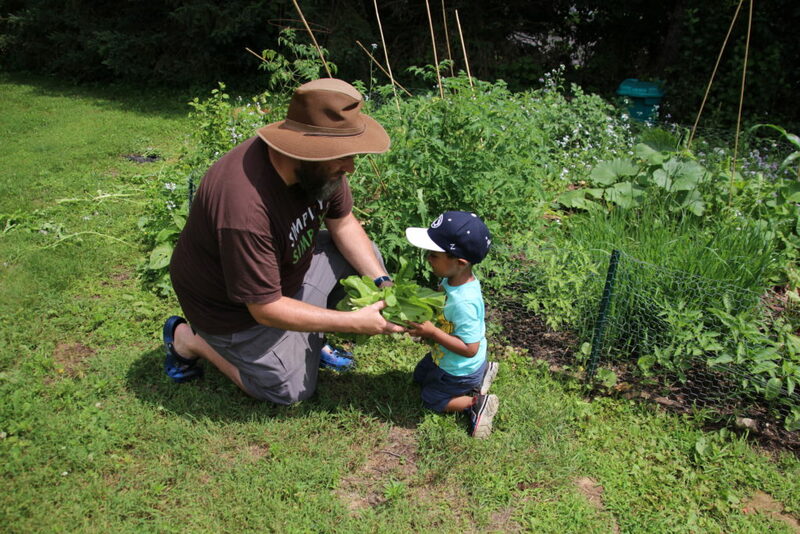 Music educators on soil recognize the law can never cultivate diversity because the law doesn’t cultivate life or culture—soil communities do. Would it be better that we, the rooted people, walk away from the obscure doors to the law rather than opening them? Allsup (2016) recognizes this possibility in his analysis of another institution, the Common Core Standards in music: “it matters very little to me just how well-intentioned or progressive the standards may be in outlook or intent. A system shapes its participants in particular ways; its participants give form to its structure in particular ways. This is the problem of borders and containment” (133). All institutions construct borders and produce containment. It could also be said of teacher education programs and public school general music where teachers validate themselves with the names of long dead male composers like Orff and Kodaly. It could be said of “well-intentioned” schools themselves, in the business of uprooting children from their homes and cultures, as if by some alchemy, in a laboratory, changing them into a new modern and consumerist beings. Is an open philosophy open to the voice of people who teach and children who learn, to parents, grandparents, their priests and shamans, community musicians and soundscapes, their rooted, historic, actual culture? Can we open gates to gardens? I see students becoming open to the institutions, progressive “in outlook or intent.” “Teachers need better rewards for straying afield and fewer for staying put” (Allsup 2016, 107). Theoretically or actually, are there ways “staying put” is good? A metaphor of “straying afield” is nowhere more evident than in higher education, where uprooted professors bounce from job to job looking for an ever illusive better fit. Public school teachers can model this uprooted life, and experience the same dissatisfaction and impotence in the face of institutional administrative dictates. And they’ll be less service to an actual community, because they will not live in a community, never becoming soil agents themselves. They will exist no-where, which is where they begin after leaving university music education programs. What if the man from the country had left the gatekeeper, part of an institution made for generating dropouts, and returned to the country—to a specific place not important enough to Kafka to consider naming? University music programs predate upon student desires: “The collegiate music performance professorate will have its own place in hell for fostering the dreams of naïve 17- and 18-year-olds, who fervently believe that a solo career in classical performance awaits them like a pot of gold at the end of the baccalaureate, when in fact they are being recruited to fill vacant slots in faculty’s teaching schedules and in accordance with the college’s large ensemble needs” (Kratus 2007, 13). Music teacher education also has power to predate upon our desires. Is walking away from the gates of the law even possible? What if s/he lived and loved, dug dirt and planted, reveled and caroused instead of waited—a passive, institutionalized music education student? Life is outside and below our feet, ready to be lived without needing permission from institutions. Can the music educator be entirely deschooled? Probably not. S/he will probably find him/rself bound by some institution or another. Gaining entry into music education means institutionalization, professionalization, and then moving further from soil to find a job. It can then result in living an unsustainable, unhappy, and uprooted modern life—the life of homo educandus musicae who indoctrinates the next generation into the myth of music scarcity (Shevock 2016). Scholars cannot provide answers, just “possibilities” (Graeber 2004, 12; and see Allsup 2016, 132). This essay has searched for rerooting possibilities. These may or may not be open possibilities. The Internet open-source movement has shown its true colors moving from “freewheeling adventurers to officers in the service of ever-greater regulation and surveillance” (133). These are two sides of the same institutionalized coin—taking people from face-to-face conversation to industry-mediated chatting. Can we imagine a possible way beyond music education, also beyond music industry? I don’t know yet. To know would require more analysis. Regardless, I don’t think it is a good choice to reconstruct music education without fully challenging it, deconstructing it, imagining musicking, teaching and learning without it. I’m not sure it is “far easier to deconstruct a set of ideas and practices than to reconstruct them” (Jorgensen 2003, xiv). If it were we’d have fewer constructs and more soil. Our field has a case of premature reconstruction disorder—and every article ends with a little bow, telling the teacher what to do. My scholarship has been guilty too. But premature reconstruction of music education limits the ability to fully imagine life without cheering on our profession. Maybe answers will emerge in Santayana’s (Henfrey 1968) mountains and woods, or in rooted cultures, or even in industry. We can’t find answers if the only place we look is between our ears and within our institutional walls. Can we begin imagining deinstitutionalized music education? And then, after an extensive and disciplined analysis, we can observe what possibilities emerge in actual places for the possibility of music education. Daniel J. Shevock teaches at Penn State Altoona and Indiana University of Pennsylvania. He taught instrumental and general music in the Pittsburgh Public Schools for eleven years. His scholarship blends ecological literacy, place-consciousness, improvisation, spirituality, history, and philosophy. Allsup, Randall Everett. 2016. Remixing the classroom: Toward an open philosophy of music education. Bloomington: Indiana University Press. Bates, Vincent C. 2016. Toward a sociology of music curriculum integration. Action, Criticism, and Theory for Music Education 15 (3): 8–20. Berry, Thomas. 2009. The Christian future and the fate of earth. Maryknoll: Orbis Books. Berry, Wendell. 1994. Entries. New York: Pantheon Books. Bowers, C. A. 2007. The false promises of constructivist theories of learning: A global and ecological critique. New York: Peter Lang. Dewey, John. 1909. Moral principles in education. Boston: Riverside Press. http://www.gutenberg.org/ebooks/25172. Graeber, David. 2004. Fragments of an anarchist anthropology. Chicago: Prickly Paradigm Press. Henfrey, Norman, ed. 1968. Selected critical writings of George Santayana, Volume 2. Cambridge: Cambridge University Press. Jorgensen, Estelle R. 2003. Transforming music education. Bloomington: Indiana University Press. Kafka, Franz. 1997. A country doctor. Translated by Kevin Blahut. Prague: Twisted Spoon Press. Koza, Julia Eklund. 2006. “Save the music”? Toward culturally relevant, joyful, and sustainable school music. Philosophy of Music Education Review 14 (1): 23–38. Kratus, John. 2007. Music education at the tipping point. 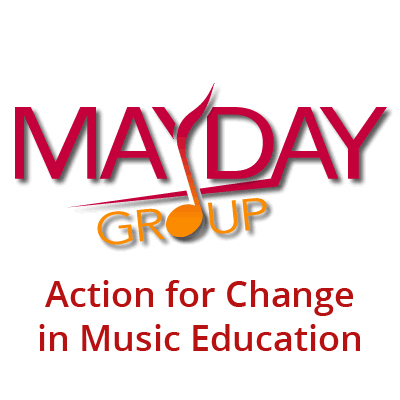 Music Educators Journal, extended pre-publication version presented at the MayDay Group Colloquium. Microsoft word 27-pages. Prakash, Madhu Suri, and Gustavo Esteva. 2008. Escaping education: Living as learning within grassroots cultures, second edition. New York: Peter Lang. Shevock, Daniel J. 2017. Eco-literate music pedagogy. New York: Routledge.